Members of the award-winning team (from left): Abby Clayton, Connor Barbour, Kevin Parker, Kerry Parker, Mason Sutter and Jenny Sutter. It was 2005. Kevin Parker and his wife Kerry had been in their custom-built home in Bend, Oregon, for just nine months. They liked the area. They adored the people. They loved their new home. So, naturally, they abandoned everything and moved to Spokane to introduce a new brand of drive-through coffee to a market that was notoriously hard to crack. "Everyone I talked to for advice — so many business leaders from Oregon and Colorado — with the exception of one said, 'Don't. It's too competitive.' I knew it was something larger, more difficult and more challenging than I would have ever undertaken, and that was really attractive to me," says Parker. The downtown location at the corner of Second and Washington was Dutch Bros.' first presence not just in Spokane but the entire state. Initially the stand lost money, but Parker persevered in the belief that it should serve as a "lighthouse for the community" by creating a welcoming environment that reflected the company's ethos. "From the very beginning, we wanted to be the company that gave back to the community. Through the years, that's what we have fundamentally been about: What does it look like to be a company that makes a difference in the lives of others?" Parker says that for Dutch Bros. (insider tip: it's pronounced "bros," not "brothers") the praxis of making a difference is always threefold: taking a personal stake in the lives of its employees, cherishing its customers and investing in its community through charitable giving. That's parlayed into economic success. 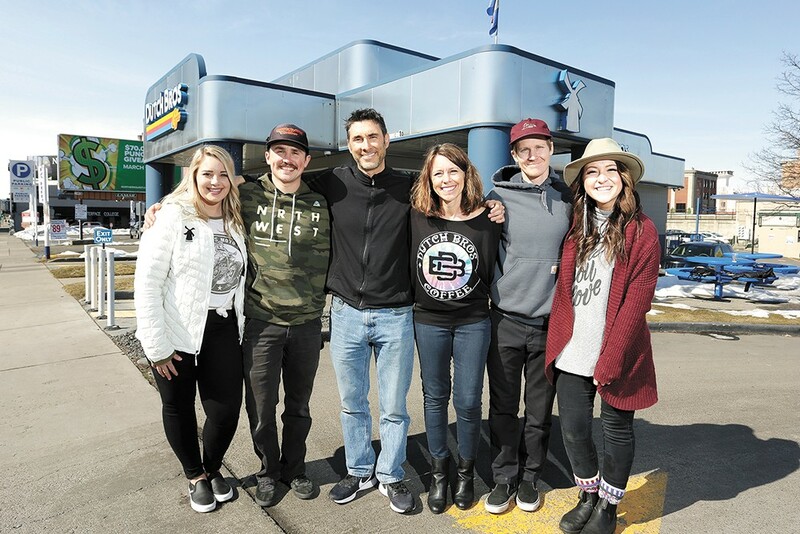 Today there are nine Dutch Bros. stands across Spokane, with a 10th scheduled to open this summer in Airway Heights. It's also led to the occasional brush with fame. The stand at Second and Washington was used as a backdrop in the 2006 film Home of the Brave starring Samuel L. Jackson and Jessica Biel, and it later had a cameo in Macklemore's 2015 video for "Downtown." Strip all that Hollywood glam away, though, and you've still got a craveworthy signature three-bean dark roast and a team of baristas with a genuine stake in their customers' wellbeing. Those customers have responded in kind by putting Dutch Bros. at the top of its Best Of category for 10 separate years. Parker genuinely considers that "a really big deal" because it affirms that Dutch Bros. is having a positive impact. "We're going to give you the best cup of coffee available," he says. "We're going to build a relationship with you. And when you come through Dutch Bros., a lot of those funds are going to be used to make a difference in someone else's life." The original print version of this article was headlined "Best Drive-Thru Espresso: DUTCH BROS. COFFEE"